Vybz Kartel disses his baby mama “Tanesha “Shorty” Johnson on Instagram and barred her from conducting business on his behalf. Last weekend, Vybz Kartel took another jab at his baby mama Tanesha “Shorty” Johnson on Father’s Day. The incarcerated deejay made a post on Instagram last weekend basically letting the entire world know that Johnson, who is the mother of three of his kids, is not authorized to do business on his behalf and neither are they still together. He has since deleted the post but it sure sent shock-waves throughout his fan base. 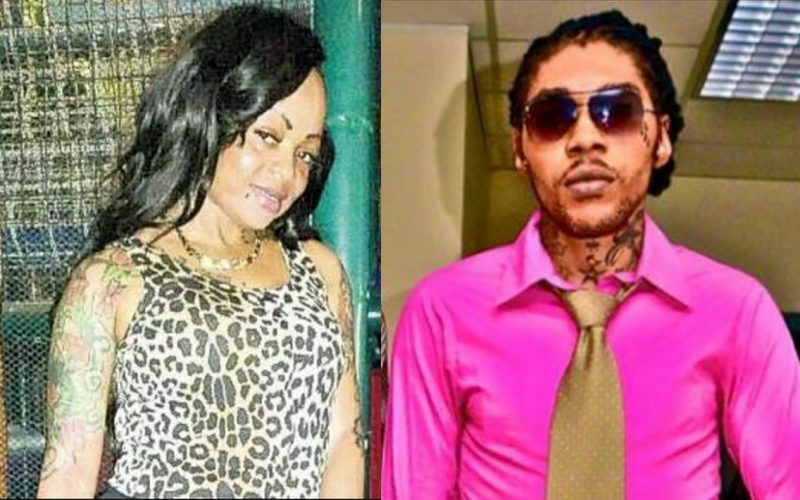 Vybz Kartel confirmed that the two have split and she is not authorized to make any business transactions on his behalf. 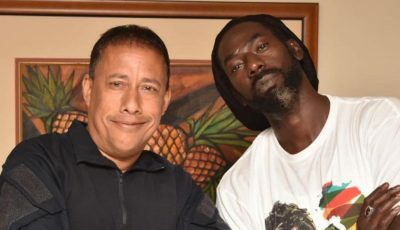 Kartel’s right hand man Sikka Rhymes has also confirmed that the Gazanation boss is no longer together with his baby mama. Still, this shouldn’t come as a shock to anyone since Kartel posted a photo of his girlfriend last month and got trolled on Instagram. 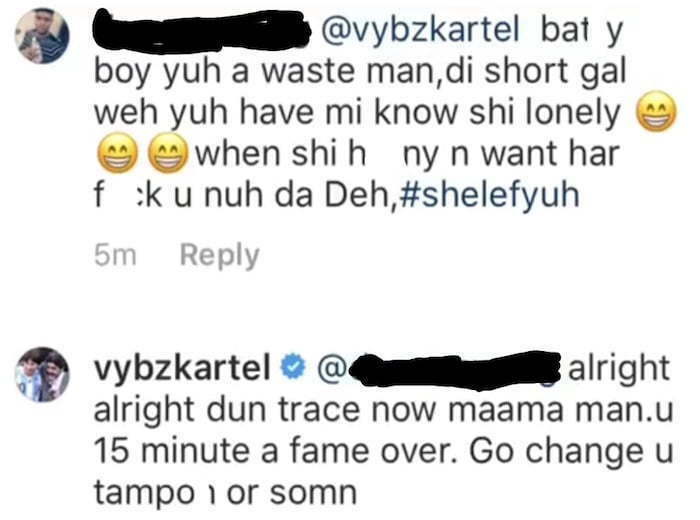 Since making the post on IG, some of his fans have been leaving some nasty comments and Vybz Kartel has been clapping back hard. “Diss Shorty and want her back f***ing fool get the f*** out of here,” one fan commented. Vybz Kartel clap back saying, “Want back who? Pu**y me no go back way! 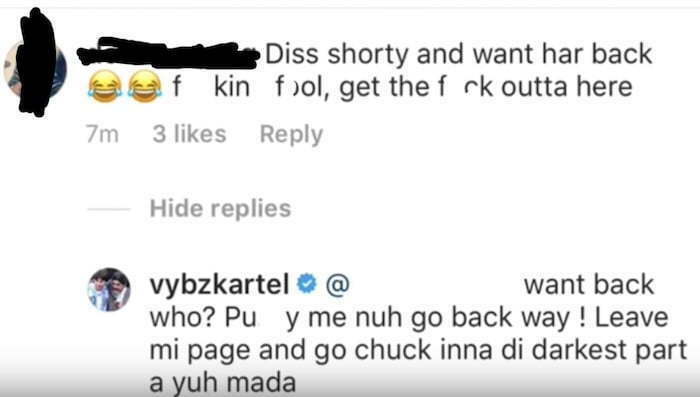 Leave my page and go chuck off in a the darkest part of your mother.” If you’ve been following Kartel on social media then you would’ve known that he is the king of clap back. One fan suggested that Shorty cheated on Vybz Kartel and that’s why the two broke up and the “Fever” deejay liked the comment which is pretty much confirming the statement. “These people talking about things they don’t know nothing about, Shorty give away the man pu**y and the man cut her off what’s wrong with that,” the fan wrote.